We are huge college basketball fans at my house and our eyes have been glued to the TV screen for the past few weeks. The big tournament is underway and I’ve got my fingers crossed for my favorite team to make it to that final game. Meanwhile, I’m planning a basketball viewing party and inviting the entire family over. My White Chocolate and OREO® Cookies Parfait will be the MVP of my party and will keep everyone happy, whether their team wins or loses. My family is a house divided when it comes to rooting for our favorite college basketball teams. It doesn’t help that our favorite teams are also big rivals! It’s all in fun (mostly) and my Nothing But Net Basketball Viewing Party will bring us all together to watch the big game. If my team wins, I’ll have bragging rights for an entire year! When it comes to hosting a basketball watch party, simple is always best. Casual parties call for a casual setup. But casual doesn’t have to be boring. I’ll show you how I set up my party and share my recipe for White Chocolate and OREO Cookies Parfait. Theme parties are the easiest parties to plan. You just have to make sure you don’t go overboard and carry the theme too far. Or not. 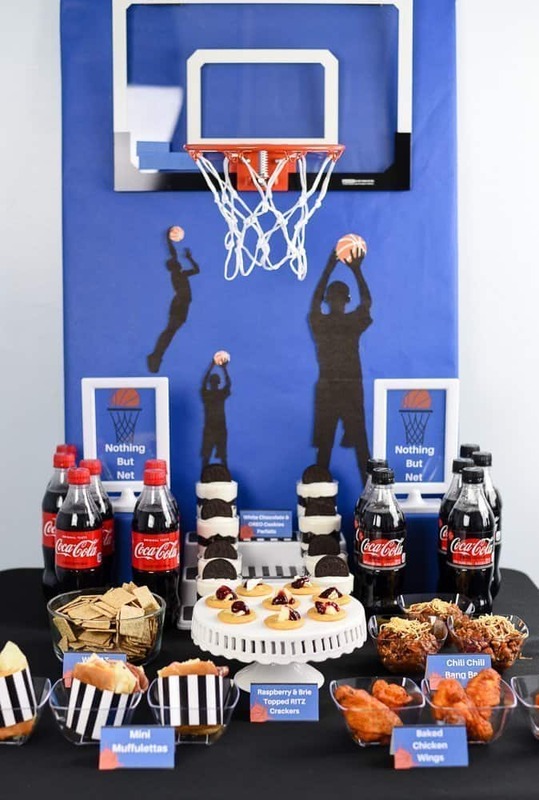 Can you really go overboard with a basketball-themed party? I don’t think so! 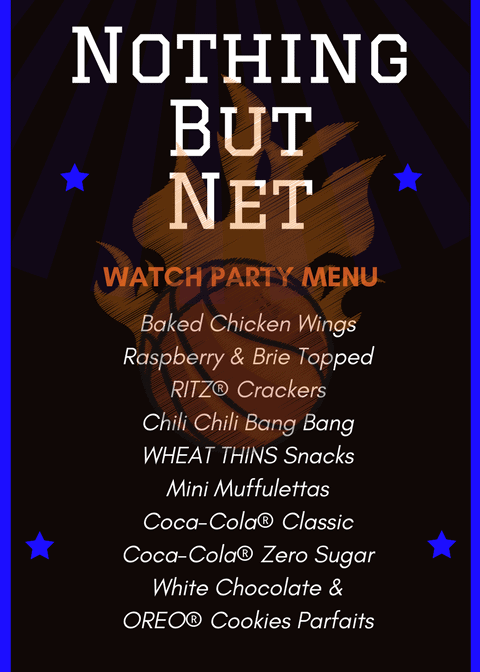 My Nothing But Net themed party can be easily duplicated. Just use your favorite team colors and you’re good to go. Helpful Hint: If you don’t have room for a big party table, set up small stations around the room. Often times, I use my big, round coffee table for a food station and a small round table for the drink station. For my party table backdrop, I grabbed some foam board and covered it with bulletin board paper in my favorite team’s color. 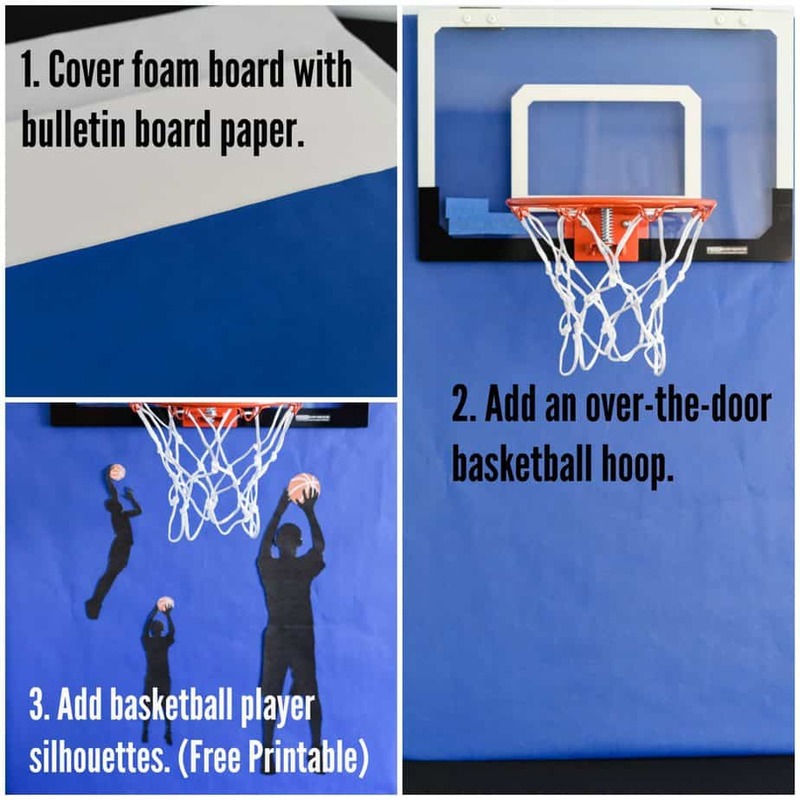 I hung an over-the-door basketball hoop over the top of the foam board. A few basketball player silhouettes complete the backdrop. You can print them out below. Be sure and use card stock. Just cut them out and glue them to the backdrop. 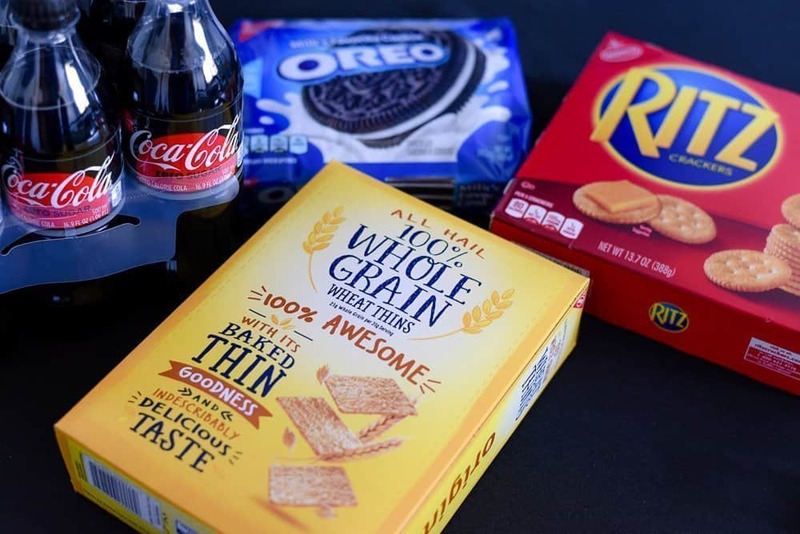 After I complete my simple menu, I head to Target to stock up on all my favorite party foods and drinks. I love that I only have to make one stop for my recipe ingredients, snacks, and tableware. Helpful Hint: Be sure and save 25% with this Cartwheel Offer! Whenever I’m hosting a basketball viewing party, I try to incorporate all my family’s favorites. 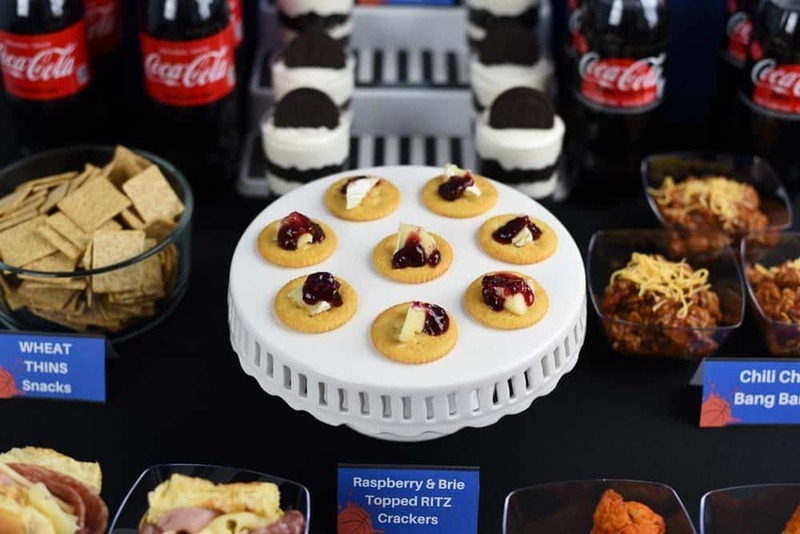 Not only do they ask for my White Chocolate and OREO Cookies Parfaits, but they always request my Raspberry and Brie Topped RITZ® Crackers. These are super easy to make. Top the RITZ Crackers with a small slice of Brie cheese. Top with Raspberry Preserves. You have to taste these to understand how delicious they are. I think it’s a nice touch to add place cards to the food table to let everyone know what they’re about to eat. Some food items are easily recognized, but some are not, so it’s nice to let your guests know what everything is. And, when they ask for the White Chocolate OREO Cookies Parfait recipe, they’ll know it by name. I always set up my food table and decorations the day before my party. I also make my White Chocolate and OREO Cookies Parfaits a few hours ahead of time and let them chill in the fridge. Right before serving, I top them with OREO Cookies. This is a favorite with all my guests! I use mini parfait glasses and this recipe makes approximately 10 parfaits. If you need more, just double the recipe. Crumble OREO Cookies and set aside. 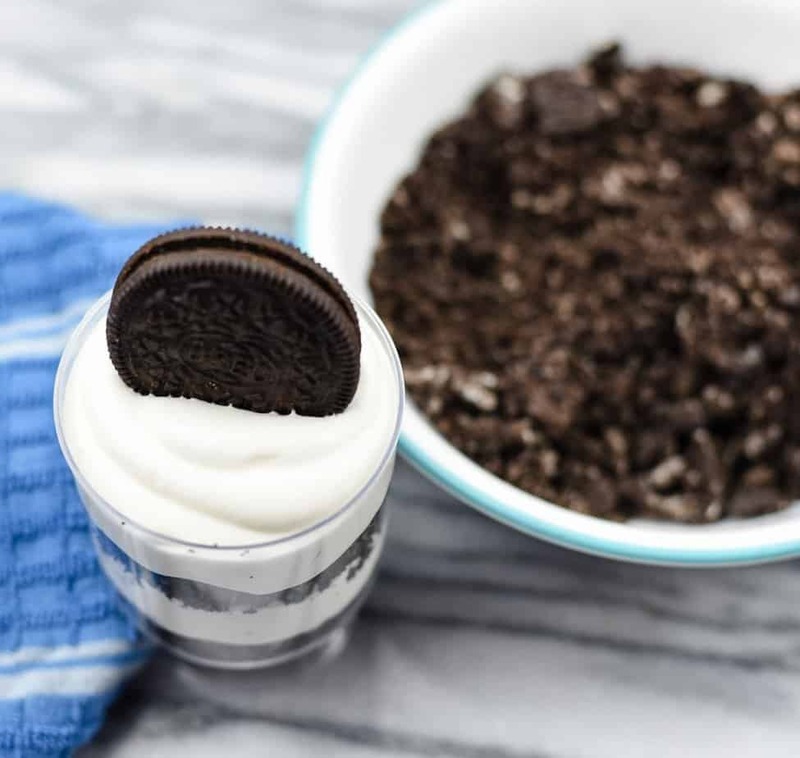 (Save a few OREO Cookies to top the parfaits). Prepare White Chocolate pudding mix according to package directions. 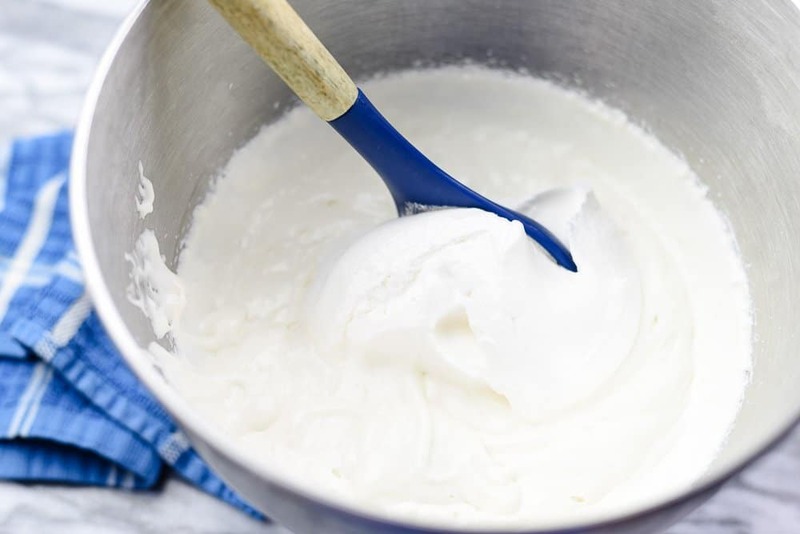 With an electric mixer, beat cream cheese until creamy. Add white chocolate pudding and mix on low until combined. Stir in whipped topping. Spoon a layer of OREO cookie crumbs into mini parfait glasses. Add a layer of the white chocolate mixture. I use a pastry bag to pipe the mixture into the parfait glasses. Then repeat with another layer of OREO crumbs and finish with a layer of the white chocolate mixture. 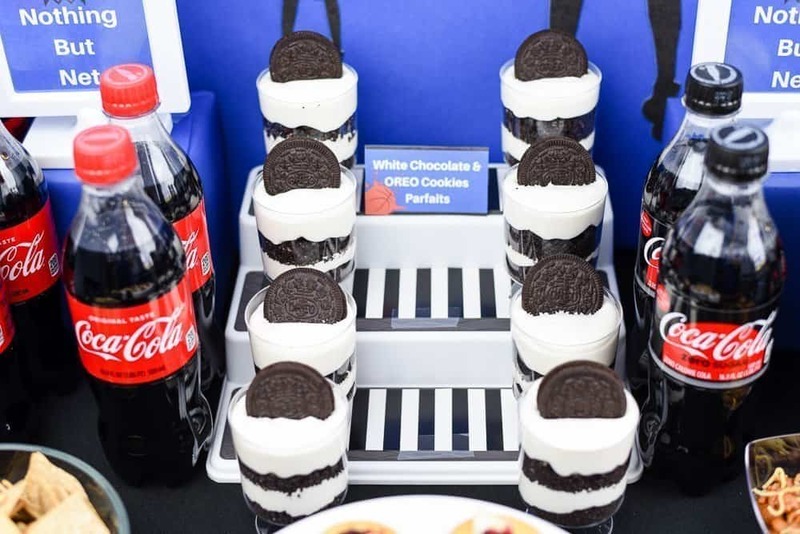 Top the parfaits with OREO cookies just before serving. 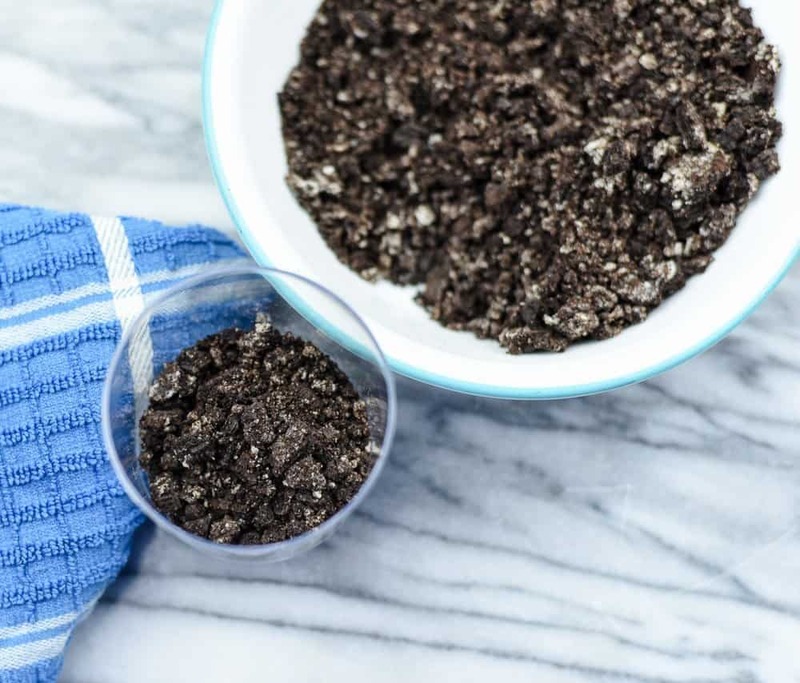 Layer OREO cookie crumbs alternately with white chocolate mixture. Top each parfait with an OREO cookie. 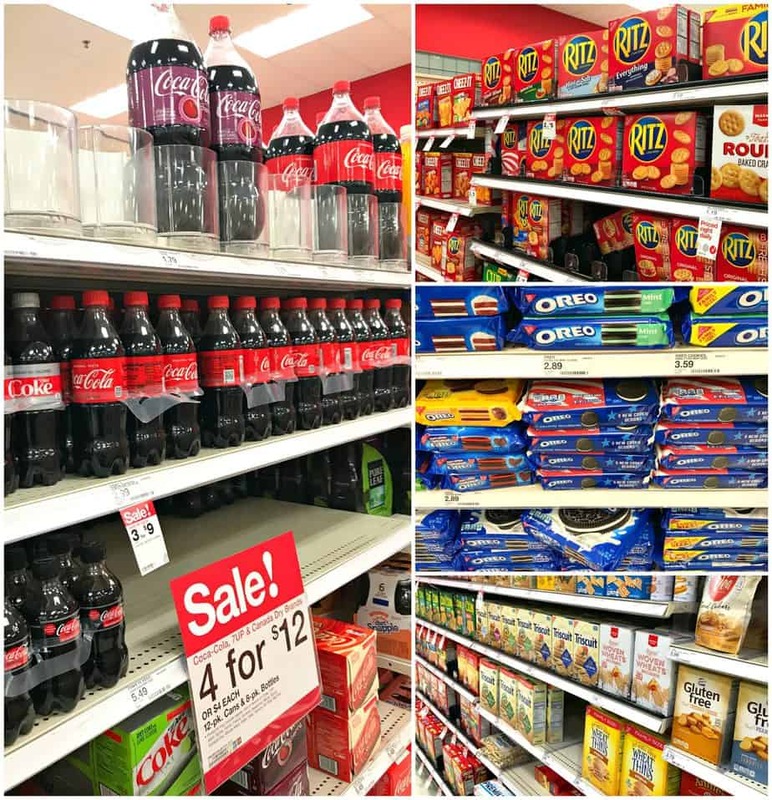 While you’re in Target, don’t forget to stock up on Coca-Cola® Classic and Coca-Cola® Zero Sugar. These are both family favorites! My Nothing But Net Party is a winner! Now, if only my favorite team wins, I’ll be a happy camper! Will you be hosting a basketball watch party? 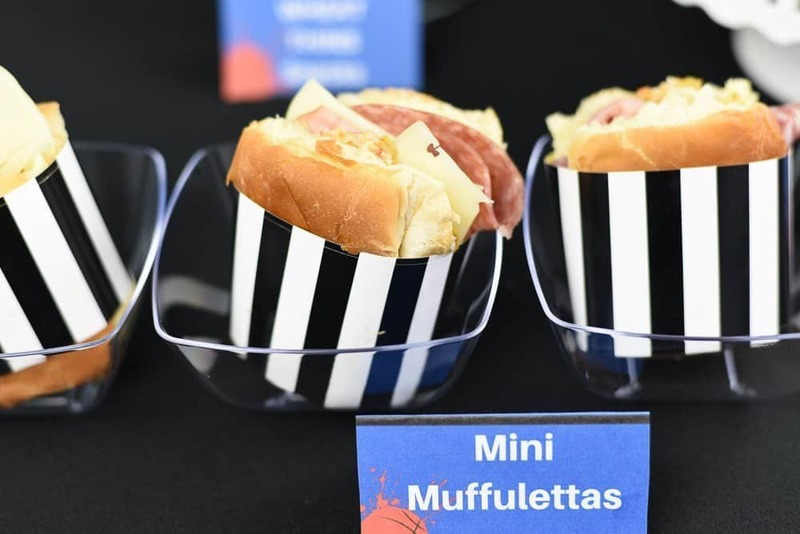 If so, be sure and serve these delicious snacks.They’re easy to prepare and you’ll have a winning basket. March madness has been exciting. Especially when seated #16 beat #1 seated team. Your whole table is adorable. Who wouldn’t want some of your parfaits. This is my kind of parfait. Yum! 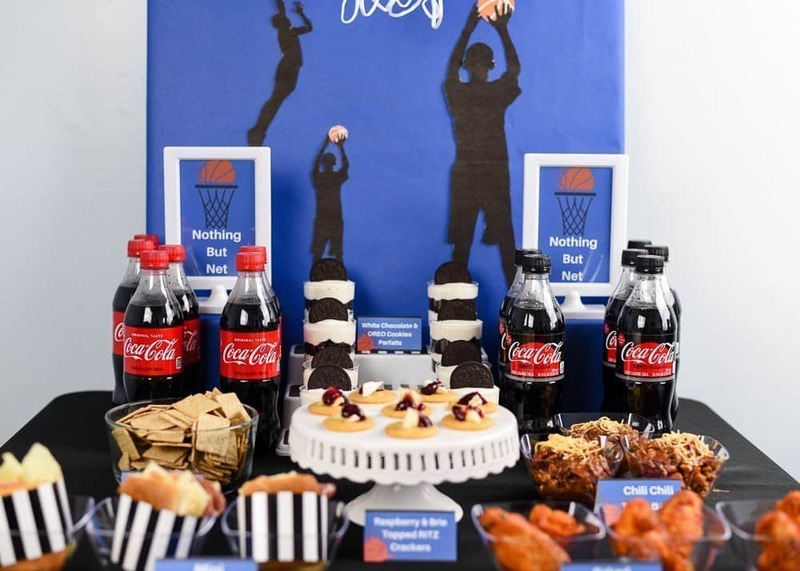 I don’t watch sports, but I would go to a party like this just to eat. I’m at Target often and I love using Cartwheel. These parfaits look delicious. I’ve been on an oreo kick lately. We love snacking and you have the perfect ideas here. I might not be a huge sports fan but I do love a good viewing party! Those White Chocolate and OREO Cookies Parfaits looks so yummy. OREO’s are my favorite cookies. Now this looks like a dessert I can sink my teeth into LOL. 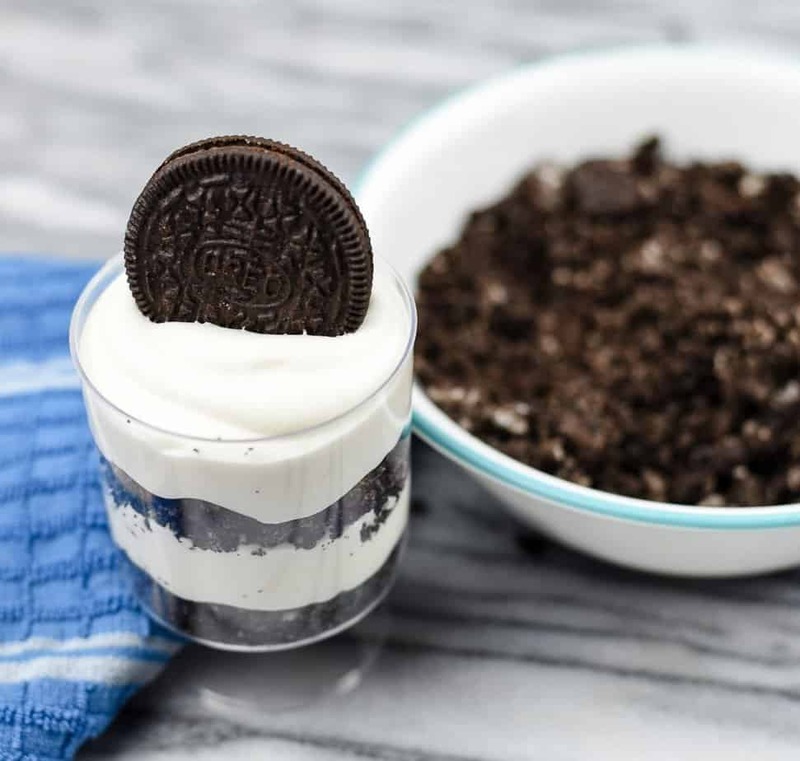 We always have Oreos in the house and I’m always trying to think of fun ways of using them in desserts. This is easy and fun. Basketball watch party?! Why hasn’t our family ever thought of that?! 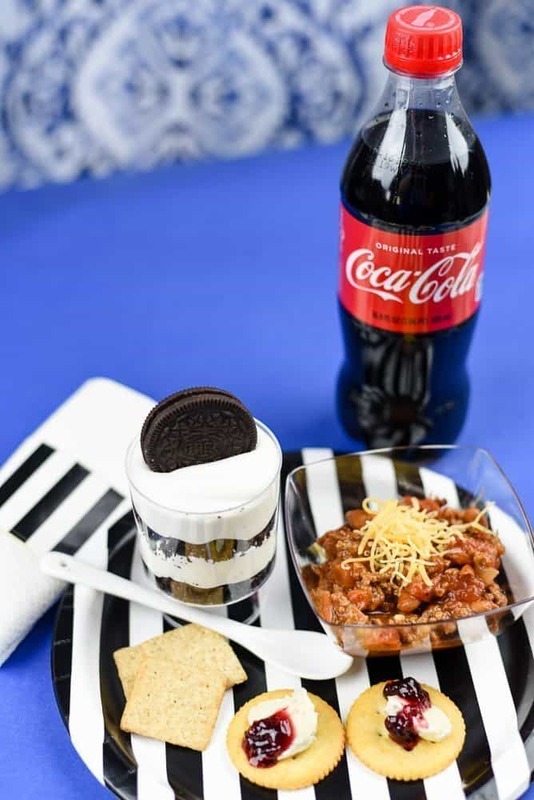 Also, this recipe totally had me at Oreos… and then parfait. Can’t wait to try it out. Everything looks so delicious! Can’t wait to try the parfait. I know the kiddos would love this. It would be great to add to their school lunch as a nice treat or even dessert. These all look great. I jinxed URI by wearing my sweatshirt. And Providence College is out, so now my family doesn’t care who wins it. How fun is this party! I love all the details. That parfait is totally calling my name. I would love two servings of that, please! 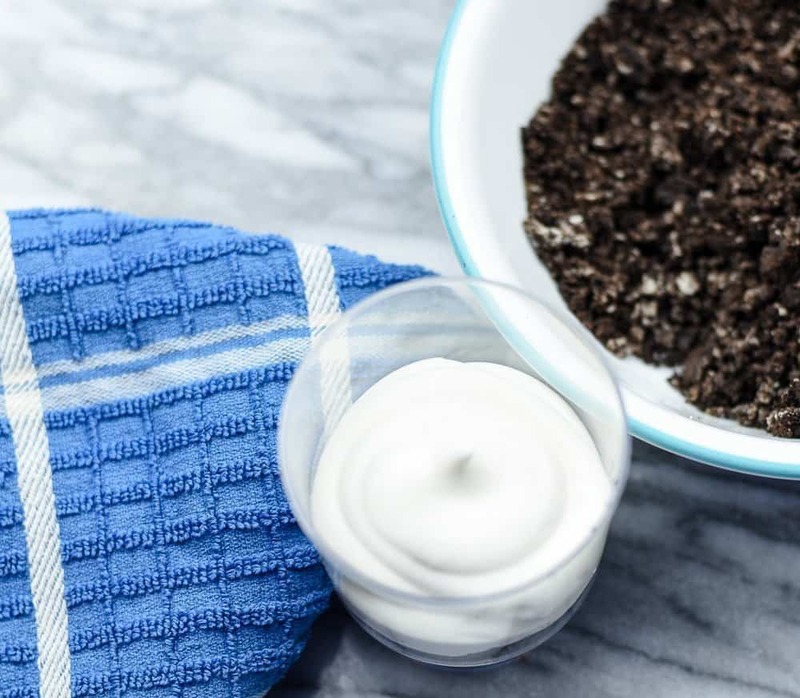 Oreos are my absolute favorite cookie and these parfaits look absolutely amazing. A perfect treat to enjoy while watching March Madness. Those are super cute parfaits. Such a cute party theme in general! 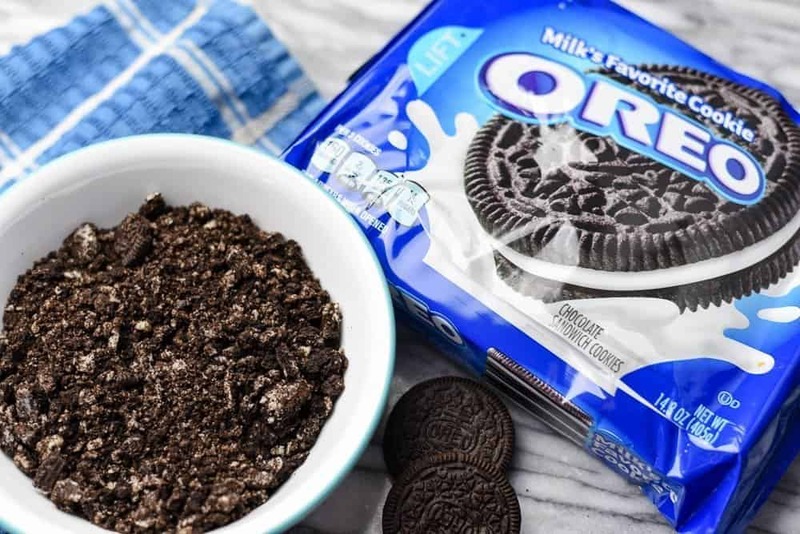 We’re all about Oreo’s in this house. This definitely looks like my kind of viewing party! I think all the details are awesome, from the decor to the menu itself. It’s tough not to have a lovely time at this party! That parfait is a lovely addition to the food that you have for this viewing party. I think it’s perfect since everybody loves oreo! It’s something that I would love to make as well. My husband would probably down these in 10 minutes flat! He loves white chocolate! Oh, I think this is really one of the best! Tried making this and my friends really loved it! I think I will need to make another batch again. You had me at Oreos. This would be a nice touch to our Easter dessert table plus it’s simple enough the kids can help make them. thank yu sir very helpful.